My toddler loves to make art! Almost every day she’ll ask me to paint, and usually I am more than happy to let her. However, this means that I have lots of masterpieces laying around my home that need to be shown to Daddy and some displayed. I have been putting off and putting off finding a way to display all of her art projects because I wanted it to be perfect. So I came up with this simple DIY art display. I have seen several ideas I loved while searching Pinterest (of course), but I needed something that would work with my budget and fit in a small space. 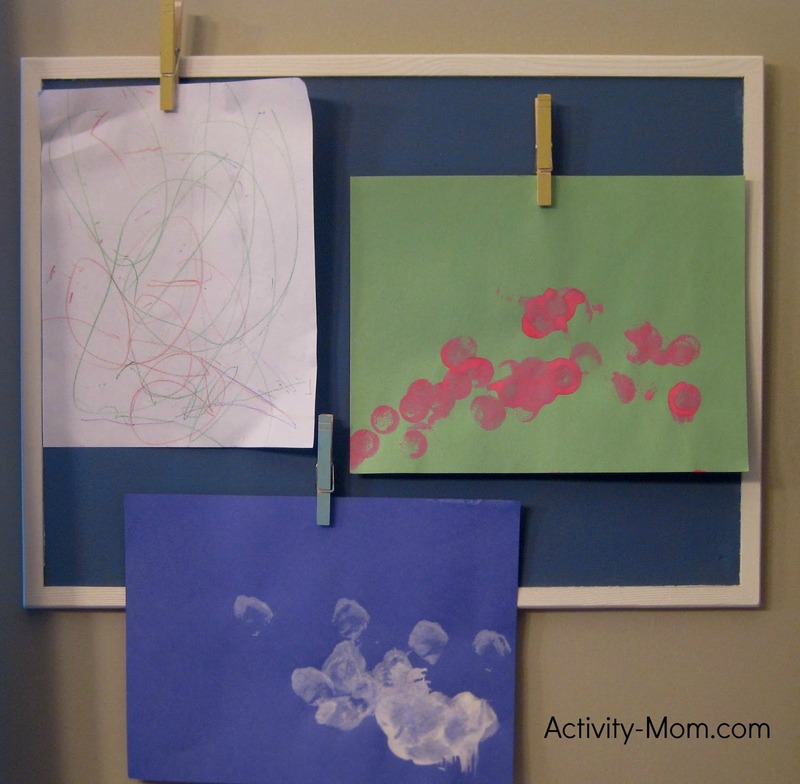 I painted the corkboard portion of my bulletin board a blue that coordinated with the room it would be placed in. Then I used painters tape to protect the corkboard and painted the wooden frame white. I wanted to use clips of some sort to display the work so I didn’t put pin holes in the items I might want to hang on to, and I just happened to have some clothespins I had painted for her first birthday. I hot glued some flat pushpins on the back and voila! 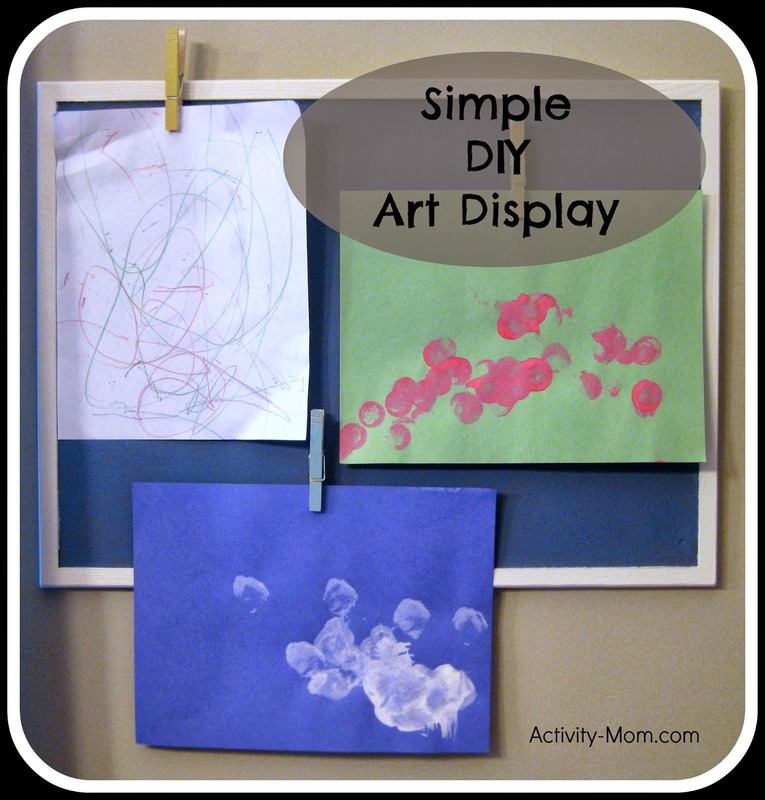 An inexpensive art display that is easy to change out and cost me less than $5 (and not including drying time, less than an hour of my time). It also has the benefit of being able to accomodate a varying number of her projects of any size. I just add, remove, or shift around clothespins. So what about you? How do you display your little Picasso’s works of art?